It's the eternal question in the entertainment industry: can you separate an artist from their personal life? If Friday's Grammy nominations are any indication of what Music's Biggest Night thinks, their answer is a resounding yes. 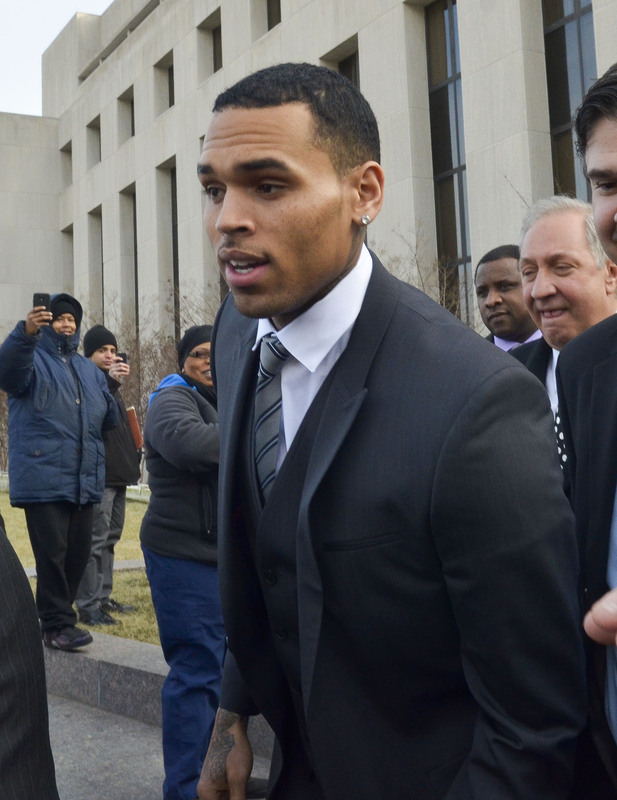 Troubled R&B star Chris Brown is nominated for a Grammy alongside artists like Beyoncé and Pharrell Williams for Best Urban Contemporary Album, despite his string of highly publicized legal, domestic and personal issues — the most infamous being, of course, the domestic violence case with Rihanna that happened right before the 2009 show of that very same award ceremony. His nomination shouldn't come as a surprise, though. Brown's nomination this year is part of a larger pattern of the Grammys giving a pass to him despite his personal troubles. Over the past few years since the Rihanna incident, Brown's image has been tarnished in the news by reports of him lashing out at interviewers, getting into physical fights at nightclubs and assaulting a stranger. Despite this, the Grammys have continued to show him love, and he has been nominated in years following. In 2012, he had the chance to perform at the show. He even won an award for best R&B album. He's also performed at the 2014 Latin Grammys. It is worth questioning what that means for separating the artist from the personal — both for the show and for its audience. The question of whether or not a singer's personal life should be taken into consideration when praising or acknowledging their legacy in the music industry in a ceremony like the Grammys is not one with an easy answer. On one hand, the Grammys is a music award show, not a ceremony rewarding celebrities for heroic acts or even for being role models. But on the other hand, it's undeniable that for many music fans, singers do become role models. It is definitely worth asking if it is sending the wrong message to these fans to brush off a star's personal problems for the sake of showing a good performance, especially since there might be some young, impressionable children watching the show who could potentially see Brown as a role model. We'll have to stay tuned to see if Brown's nomination leads to a win this year. If he does win, it will only further drive the point home that the Grammys ceremony is a night that's all about the music — regardless of what the musician has done outside of the studio.